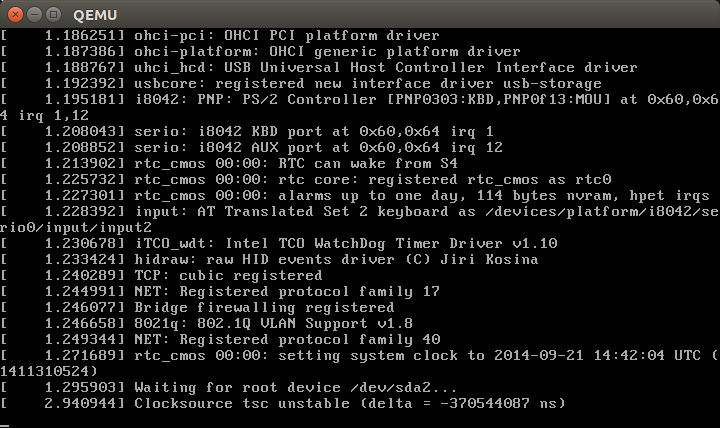 It stop at "Waiting for root device /dev/sda2...", I think there are some driver is not built into the linux kernel. I also tested x86, it is ok! why x86_64 is failed! openwrt_x86_64_cannt_mount_sda.png​ (21.5 KB) - added by Galen 3 years ago. 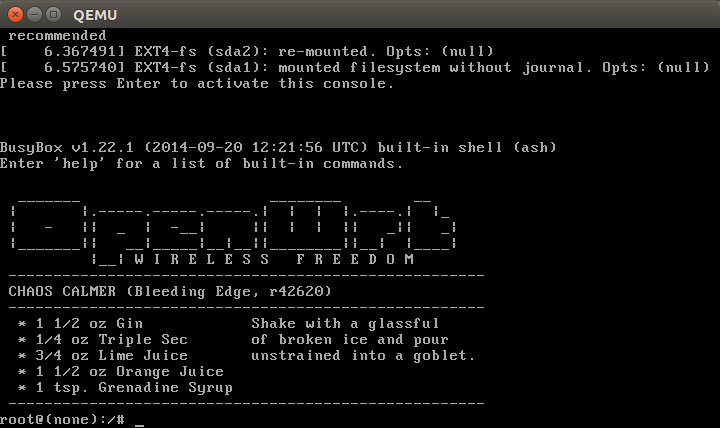 openwrt_x86_can_mount_sda.png​ (13.7 KB) - added by Galen 3 years ago. Thank you very much, you command works for me, too, it's great! the phenomenon is same as "qemu-system-x86_64 -hda openwrt-x86_64-combined-ext4.img"
It is blocking at "Waiting for root device /dev/sda2..."
Now, I can enter system successfully! Should commit the changeset to Trunk? because it can't bring up x86_64 PC. or I have to change CMOS? and how? I saw x86 has Subtarget, but x86_64 dont' have it, why? The x86-64 target has legacy drivers intentionally disabled, maybe you need to change your BIOS to AHCI mode instead of the legacy IDE emulation. Reassigning this ticket to Kaloz since he maintains the target, however I'm sure we'll not add the legacy drivers.